The central part of Stockholm consists of 14 islands. It is an extension of the Stockholm Archipelago, a cluster of 30,000 islands that offers a wide range of experiences, from calm and peaceful nature to wild and challenging adventures. Find out more at http://www.stockholmarchipelago.se/en/. Gamla Stan, which literally means “the old town” in Swedish, is the heart of Stockholm. It is one of Europe’s most preserved medieval city centres. Residing on its own island, it has a unique character with its narrow cobblestone streets and old squares. There are several beautiful churches and museums in Gamla Stan, including Stockholm Cathedral and the Nobel Museum. The largest of the attractions is the Royal Palace. 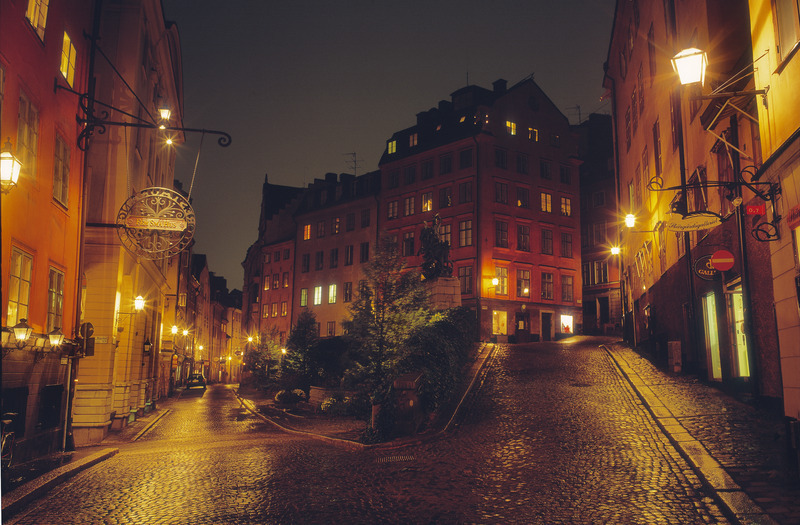 Gamla Stan also has a wide variety of restaurants and bars, including some of the best restaurants in the world offering amazing local and international cuisine. Stockholm has many beautiful and exciting museums to visit. The Vasa Museum is one of the top attractions in the city. It displays the Vasa warship that was recovered from the waters right outside Stockholm 333 years after it sank on its maiden voyage. It is the only preserved seventeenth-century ship in the world. The Vasa Museum is located on Djurgården island, one of Stockholm’s many national parks. Djurgården is also home to several of the city’s top museums and attractions, including Nordiska museet, Sweden’s largest museum of cultural history; the newly opened ABBA museum; and Skansen, an open-air museum that is a miniature Sweden displaying dwellings from different part of the country. Starting in the spring of 2015, all national museums in Sweden will have free entry. This includes the Nationalmuseum, The Swedish History Museum, and Moderna Museet. Swedish design is famous for combining style and functionality. It emphasises clean and simple lines, and emotional value is as important as function. The conference venue is very close to Kista Galleria, one of the largest shopping centres in Northern Europe with 180 shops and restaurants. Kista Galleria has long opening hours (10:00 am – 9:00 pm), and is open seven days a week, allowing the conference participants to take advantage of the long light-filled summer days. Many shopping destinations can be found in the city centre, including Gallerian, Åhlens City, and NK. The central street of Drottninggatan, leading all the way to Gamla Stan, is vibrant and lively, with many shops, restaurants, and a variety of street performances.